What is a Town Pastor? What is the Prayer Team? We welcome you to Bury Town Pastors website. We hope you find the information on our website useful and that you enjoy browsing and finding out more about Bury Town Pastors. 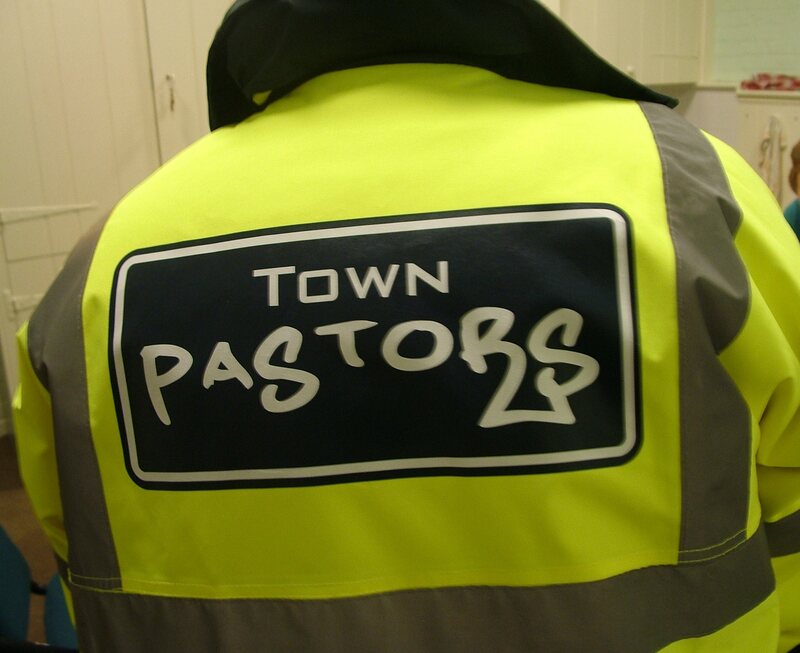 Town Pastors are Christian volunteers from local churches who are out in the town centre of Bury St Edmunds on Friday and Saturday nights, being a positive influence on the streets and providing help and support to vulnerable people. In addition, there is the Prayer Team who pray while the Town Pastors are walking the streets; some people pray at the Bury Town Pastors’ base in the town centre and others pray at home. Town Pastors have been patrolling the streets of Bury St Edmunds since May 2008 and are well known for their bottled water, foil blankets and Freddos! Bury Town Pastors is a registered charity: Registered Charity Number 1157108. Wishing you a very blessed and peaceful Easter from all at Bury Town Pastors. Dates are currently being finalised for the next Town Pastor training course which will start in June. Full details coming soon.